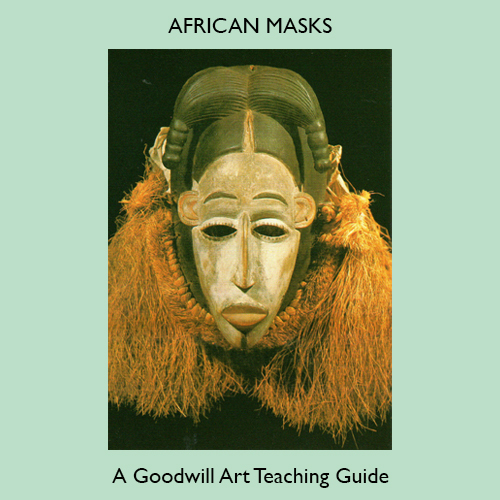 The African continent is one of the areas of the world where the true meaning of a mask is still apparent; where masks continue to be made and worn for dancing, ceremonial and ritual. However, nearly all the examples chosen are museum pieces — acquired for the most part by European travellers during the nineteenth and twentieth centuries. At first they were mainly objects of study for anthropologists. But nowadays such masks are recognised as occupying an important place in the wider spectrum of African art, which is being displayed in art galleries as well as museums. Masks like these continue to be ‘collected’; and this is perhaps fortunate, since they are often made of varieties of wood with a limited lifespan. The 25 images and 36 pages in this e-book offer concise information, teaching ideas and the opportunity for fresh and creative thinking about the subject.